Buyers can rest assured; our products are reliable, as they are sold by us only after subjecting them to stringent tests of quality. Our company is well versed with online as well as traditional payment methods. As per requirements of patrons, we can sign an agreement for payment with suitable terms and conditions. 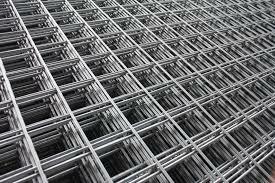 Our corrosion resistant galvanized wire meshes are available in length 30m and have width 1m.